I decided to give the stone urn planters at the front of our property a much-needed makeover, full of weeds they looked sad and neglected. Unloved. 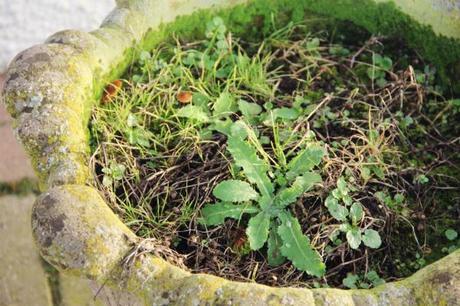 Weedy stone urn planters. Oh the shame! 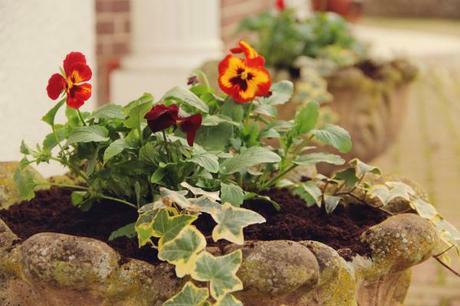 I replaced the contents of each planter with fresh compost, planting each one with mixed red winter flowering pansies, trailing variegated ivy completed the fiery autumn look I was going for. 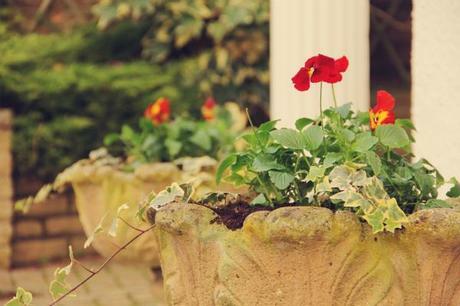 The urns were crying out to be planted with ivy, it goes so well with these style planters. Now they look all loved again, very regal and romantic, a touch festive too? 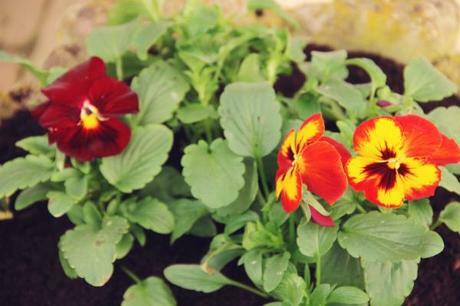 The planters are in a sheltered spot against the house wall, hopefully the pansies will continue to flower throughout the cold weather although they won’t appreciate heavy snow.